X-Morph: Defense has been out since August of 2017 but that hasn’t stopped the steady flow of DLC and additions that developer EXOR Studios has brought to the party. In the latest update, the free survival DLC is getting enhanced with 10 new maps and randomized gameplay. This update is set for release across all platforms, so whether you are on PC, PS4 or Xbox One you will be able to continue taking over new maps across the earth. While there is no set release date for the new content, receiving them for free is an unbeatable price. 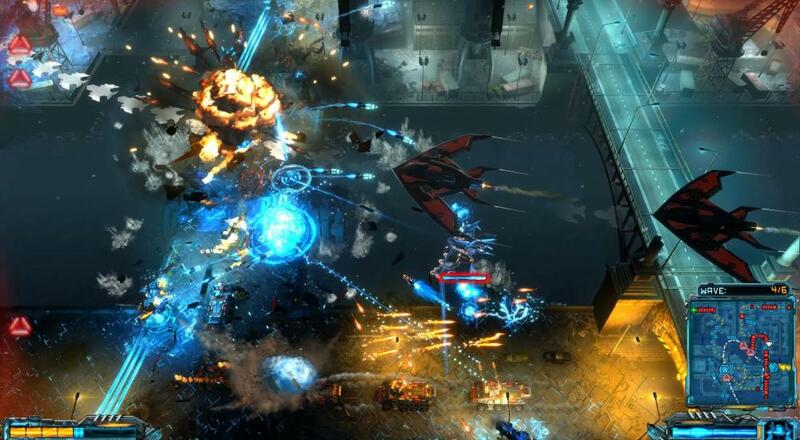 The announcement comes complete with a trailer showing off gameplay in X-Morph: Defense. It is easily one of the most visually appealing tower defense games which can be seen in the video below. X-Morph: Defense features split-screen co-op for up to two players who can defend their bases with their fighter ship, build defensive towers to thwart foes, or any combination therein, as they fight through wave after wave of the petty human meat bags. Will you be waiting anxiously for the additional content, or are you still playing through the European Assault DLC? Let us know in the comments below! Page created in 0.5601 seconds.